If you are entertaining a vacation or a business trip to the Mediterranean this year, then before you commit to anywhere, add Sardinia to your list, and the port city of Olbia. The city (which is more of a small town) and port of Olbia is steeped in history going back to the Punics; with the crystal blue waters of the Tyrrhenian sea and beautiful beaches, and a large number of places of diverse cultural interest to visit, not to mention the wonderful restaurants, Olbia should be at the top of your list. The airport is a 10 to 15 minute drive South of the town of Olbia, and hiring a car you can reach the southern port and city of Cagliari in around 2 hours 45 minutes; with plenty of places to stop en-route to enjoy some traditional Italian hospitality. 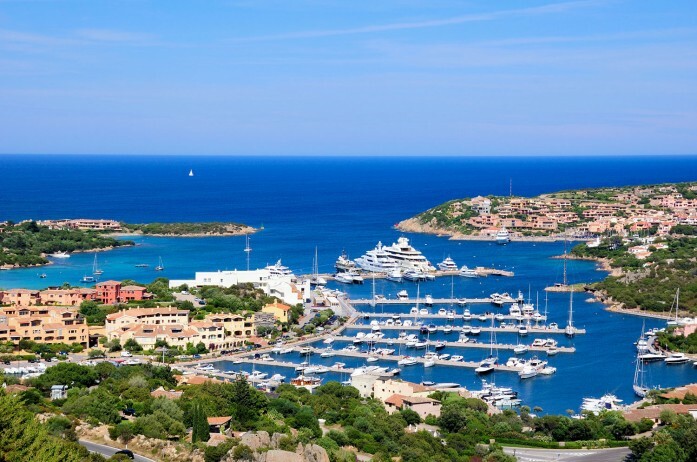 A 45 minute drive North of Olbia will bring you to the village port of Porto Cervo where you can experience the Yacht club Costa Smeralda and some of the world’s grandest luxury yachts. The nearby port of Palau is ideal for the 1 mile boat trip to the neighbouring island of La Maddalena, a must visit with any stay on Sardinia. A private jet charter to Olbia (OLB) from London will take around 2 hours 10 minutes in a 8 seat Cessna Citation XLS jet, and 2 hours 20 minutes in a 6 seat Cessna Citation CJ2 jet. Alternatively, if you fly to Cagliari (CAG) , a Cessna Citation XLS will take approximately 2 hours 25 minutes from London, and a Cessna Citation CJ2 jet around 2 hours 35 minutes. Olbia enjoys comfortable temperatures all year round, and from June to October temperatures average around 80 degrees fahrenheit, you can pack light. Olbia remains one of the most popular destinations to visit by private jet during the summer, and year-on-year shows consistent demand and growth in private jet charter bookings. Arranging a private jet charter with Freedom Air to arrive in style to one of Italy’s finest Islands is simple. The Freedom Air team can be reached on +44 (0) 1275 548001 to book your next trip.